The investment in the construction and equipment of the new service unit amounts to $200,000. The Ministry of Health (MINSAL) hopes to reduce the waiting list of children with cardiovascular problems who, for months, have been hoping to be operated on and have their hearts healed. In that sense, yesterday the new ICU of the National Children’s Hospital Benjamin Bloom was inaugurated. “This unit has been 100% equipped, taking into account the different quality standards. The monitors, infusion pumps, electrocardiogram, and ventilators have been donated, and the entire gas network of the unit has been expanded,” said the director of Latidos de Esperanza, Ivonne López. The investment made for construction and equipment is $200,000, a contribution made by the Latidos de Esperanza Foundation and the International Rotary Foundation. A total of 37 children with cardiovascular problems who were on the waiting list will be operated in the coming weeks. “Waiting lists and rescheduling of cardiovascular operations will decrease. Up to this date, Hospital Bloom, from 2009 to 2017, has attended 1,418 cardiovascular operations, “said Health Minister Violeta Menjívar. According to MINSAL, cardiovascular problems in children are produced by congenital anomalies, but they can also be caused by a general systemic disease. For this reason, the Health System maintains a cardiovascular surgery program for children of limited economic resources, whose main allies for investment are the altruistic organizations referred to. 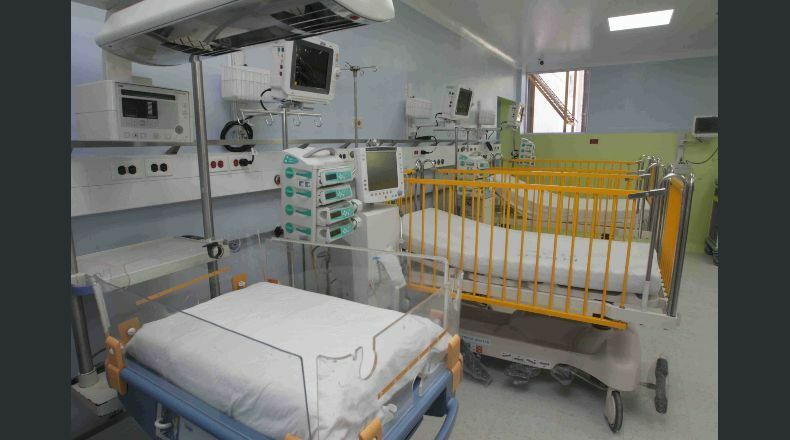 From 2009 to September 2017, the Bloom Hospital performed an average of 162 surgeries per year, according to the statistics detailed by the Minister of Health.